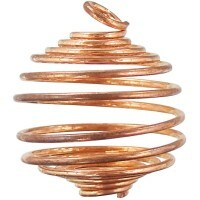 This small Spiral design cage pendant is hinged and comes with a lava aromatherapy bead but can hold any small gemstones. 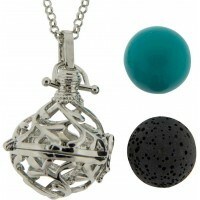 Lovely harmony pendant is about 1 inch in diameter and comes on a 32 inch long chain. 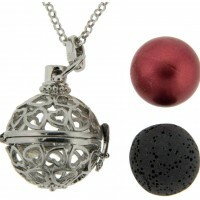 The pendant is a small hinged cage with clasp. 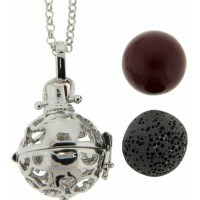 Pendant comes with 2 20mm spheres - the black lava bead can be used for aromatherapy when a few drops of your favorite perfume or essential oil is added. 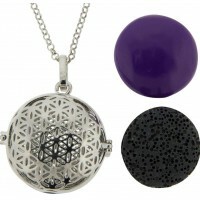 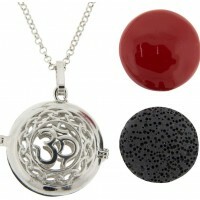 The second ball is a harmony chime ball with a soft chime sound perfect for meditation. 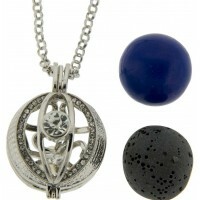 Pendant can also be used to hold any of your favorite gems - a great way to wear the gemstone you need for a particular situation. 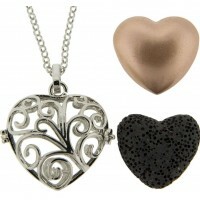 Pendant is silver plated copper with a silver-tone chain. 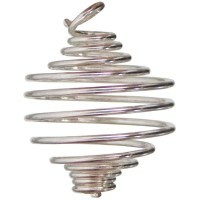 Item Number: KK-99090 | Approximate Size (Inches): 1.06 wide x 1.06 deep x 1.06 high | Approximate Shipping Weight: 0.25 lbs.